Football is a physical game, and it requires a tremendous amount of strength to line up, play after play, to push people around down after down. As a result football games sometimes can evolve into contests where the teams push each other around, and such games can end up where one team gets worn down and the other pulls away for a big victory. That’s what happened this weekend at Monmouth. The Hawks started out behind the eight-ball early, falling behind by two scores, and then rallying to take a 27-21 lead relatively early in the third quarter. But the physical beating, slowly and surely, took its toll, eventually knocking the offense out of kilter and the pushing the defense out of the way for their powerful running game. In the end, Lehigh only could be punched in the mouth so many times, and fell, 46-27. It was an especially hard loss to take because this isn’t how the 2017 season was supposed to happen. 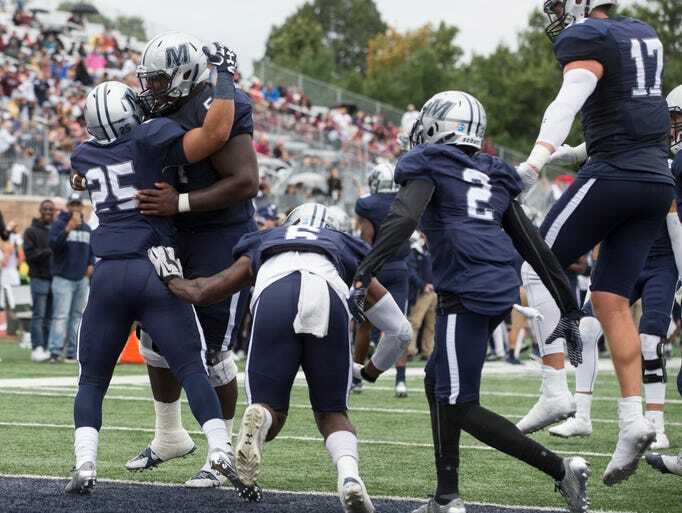 Lehigh at Monmouth Game Breakdown and Fearless Prediction: Can Monmouth Beat Lehigh for the 1st Time at Home? Thanks to Monmouth’s game notes and the Asbury Park Press, which is the source of all of this research. One thing you might want to consider bringing with you to the game on Saturday is clothes to donate. 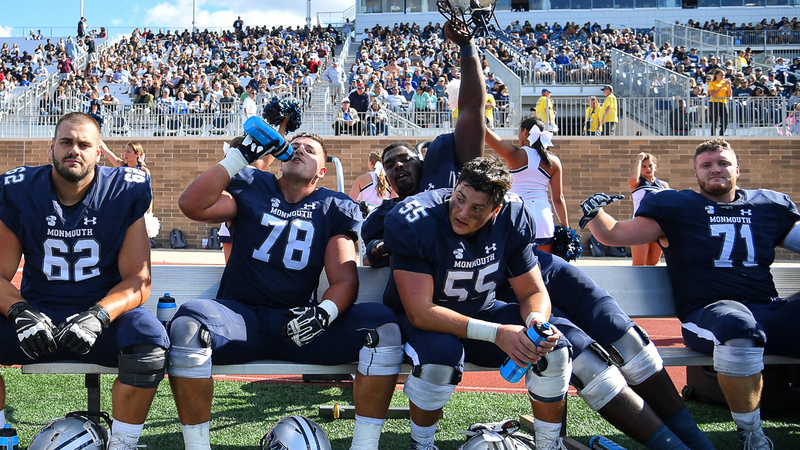 “At today’s football game against Lehigh and tonight’s men’s soccer game against UMBC members of the Monmouth athletics community will be collecting clothing to be sent to those affected by Hurricane Harvey,” Monmouth’s game preview says. It can seem like one is powerless with hurricane destruction in Houston and potential hurricane destruction in Florida, but contributions like this can help make a difference.